Great gift idea for your favorite Bar Mitzvah boy or Sofrus hobbyist. Our gift cards can be purchased in any amount you choose, starting at $10. We will send a virtual gift card, containing a coupon code which can be used to purchase anything on our site. 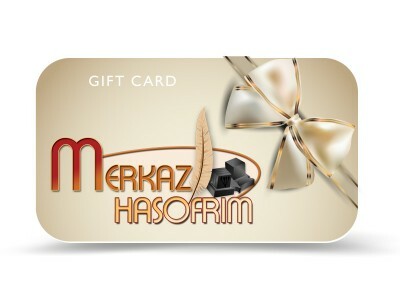 Best of all, gift cards from Merkaz Hasofrim never expire. You can send gift cards in the same amount to multiple recipients at once. If you wish to send different amounts, please enter each amount as a separate order.